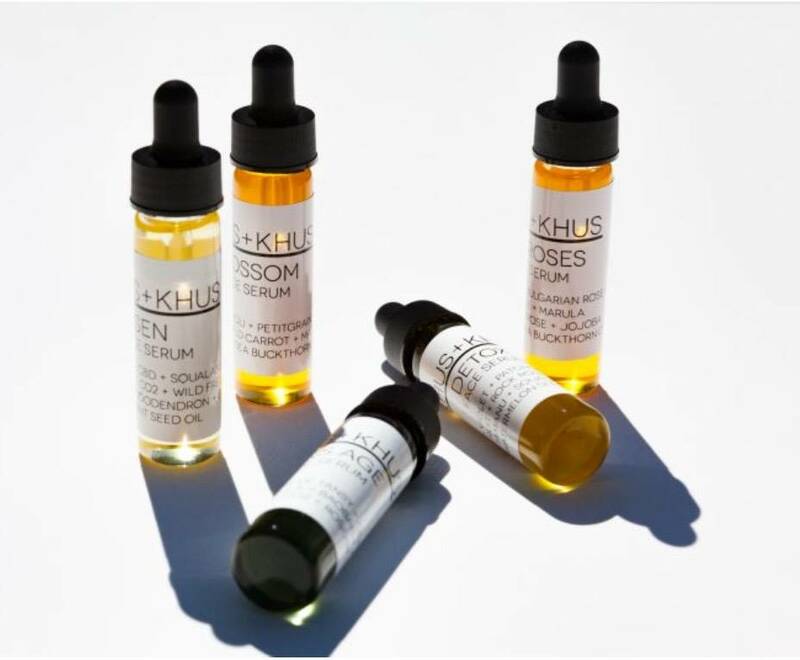 Sample sizes of 5 different face serums for all your skin care needs. 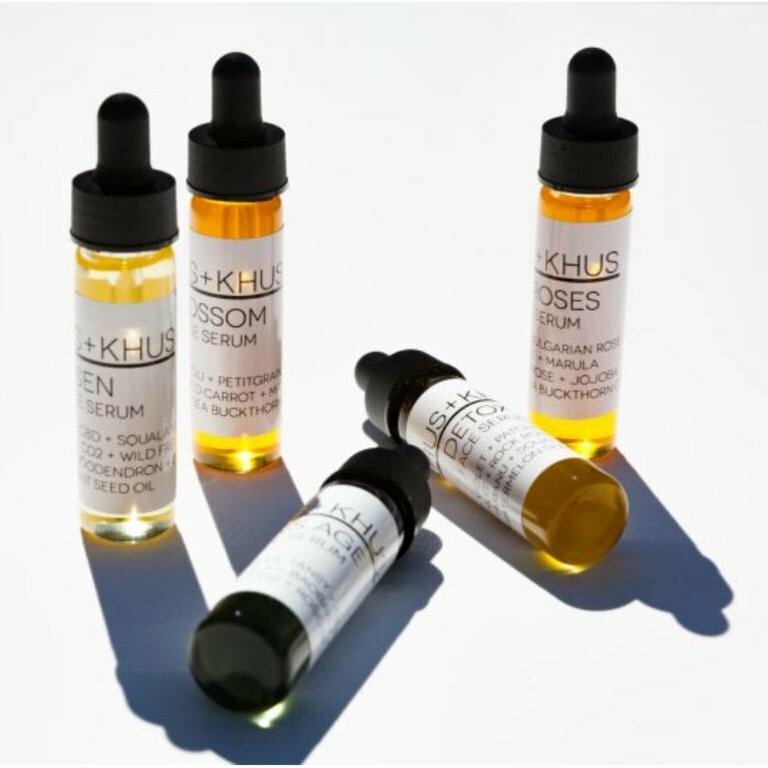 Want to try Khus Khus face serums? But it’s hard just to choose just one. + Each glass bottle contains 10mls of plant superpowers which is more than enough to enhance the skin and just enough for you to decide which serum is working for you right now. About 2 to 3 weeks of product use in each vial. + You might be drawn energetically to many of our botanical ingredients. We want you to experiment and experience the myriad of healing potential in each and every one of our 100% botanical face serums. + Every season is different and what our skin needs today may change over the coming months. That’s why we have five face serums various times in life and various seasons. + We encourage you to use a combination of serums one for the day and one for the night. Skin Concerns: Dry, mature, itchy, inflamed, eczema, sensitive, normal, fine lines, wrinkles, redness, psoriasis, capillaries. Botanical Therapeutic Actions: Highly anti-inflammatory with the ability to increase cellular regeneration. Skin Concerns: acne, mature, sensitive, dry, scars, redness, broken capillaries, combination, environmental stress, palid. Botanical Therapeutic Actions: Intense antioxidant powerhouse with hydrating and anti­ aging abilities. Healing and rejuvenating effect on the skin assisting in combating free radical damage. Skin Concerns: dry, mature, redness, broken capillaries, sensitive, wrinkles + fine lines, eczema + chronic skin disorders. Botanical Therapeutic Actions: No other flower has been exalted in history and used for so many sacred purposes then the rose. This serum has excellent emollient, softening and hydrating properties. Skin Concerns: acne, eczema, mature, atopic dermatitis, dry skin, aging, fine lines, psoriasis, pigmentation. Botanical Therapeutic Actions: This unique formula combines the remarkable endocannabinoid healing power of European Eco Certified CBD oil with highly regarded Ayurvedic and Western botanicals and resins for a complete skin healing modality. Skin Concern: Acne, oily, inflamed, redness, sensitive, congested, mature, eczema, thread veins. Botanical Therapeutic Actions: This serum works wonders for acne prone skin, scars, skin inflammation and infections.